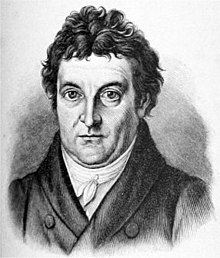 Johann Gottlieb Fichte (19 May 1762 – 27 January 1814) was a German philosopher, who was one of the founding figures of the philosophical movement known as German idealism, a movement that developed from the theoretical and ethical writings of Immanuel Kant. The infinitely smallest part of space is always a space, something endowed with continuity, not at all a mere point or the boundary between specified places in space. Grundriss des Eigenthümlichen der Wissenschaftslehre in Rücksicht auf das theoretische Vermögen (1795) GA I.3, as quoted/translated by Erhard Scholz, "Philosophy as a Cultural Resource and Medium of Reflection for Hermann Weyl" (2004). “Whether there can be love without esteem?” Oh yes, thou dear, pure one! Love is of many kinds. Rousseau proves that by his reasoning and still better by his example. La pauvre Maman and Madame N____ love in very different fashions. But I believe there are many kinds of love which do not appear in Rousseau’s life. You are very right in saying that no true and enduring love can exist without cordial esteem; that every other draws regret after it, and is unworthy of any noble soul. One word about pietism. Pietists place religion chiefly in externals; in acts of worship performed mechanically, without aim, as bond-service to god; in orthodoxy of opinion; and they have this among other characteristic marks, that they give themselves more solicitude about other’s piety than their own. It is not right to hate these men,-we should hate no one, but to me they are very contemptible, for their character implies the most deplorable emptiness of the head, and the most sorrowful perversion of the heart. Such my dear friend never can be; she cannot become such, even were it possible-which it is not-that her character were perverted; she can never become such, her nature has too much reality in it. You trust in Providence, your anticipation of a future life, are wise, and Christian. I hope, I may venture to speak of myself, that no one will take me to be a pietist or stiff formalist, but I know no feeling more thoroughly interwoven with my soul than these are. Addresses to the German Nation (1807), Second Address : "The General Nature of the New Education". Chicago and London, The Open Court Publishing Company, 1922, p. 20. If you want to influence him at all, you must do more than merely talk to him ; you must fashion him, and fashion him in such a way that he simply cannot will otherwise than you wish him to will. Paraphrased variant: The schools must fashion the person, and fashion him in such a way that he simply cannot will otherwise than what you wish him to will. The Vocation of the Scholar (1794) by Johann Gottlieb Fichte, translated by William Smith. Upon the progress of knowledge the whole progress of the human race is immediately dependent: he who retards that, hinders this also. And he who hinders this, —what character does he assume towards his age and posterity? Louder than with a thousand voices, by his actions he proclaims into the deafened ear of the world present and to come —"As long as I live at least, the men around me shall not become wiser or better; — for in their progress I too, notwithstanding all my efforts to the contrary, should be dragged forward in some direction; and this I detest I will not become more enlightened, — I will not become nobler. Darkness and perversion are my elements, and I will summon all my powers together that I may not be dislodged from them." Αs translated by William Smith, in The Popular Works of Johann Gottlieb Fichte (1889), Vol. I, Lecture IV, p. 188. Introduction to Fichte's Science of Knowledge (1797/1798) by Johann Gottlieb Fichte, translated by Adolph Ernst Kroeger. The representation of the self-sufficiency of the I can certainly co-exist with a representation of the self-sufficiency of the thing, though the self-sufficiency of the I itself cannot co-exist with that of the thing. Only one of these two can come first, only one can be the starting point; only one can be independent. The one that comes second, just because it comes second, necessarily becomes dependent upon the one that comes first, with which it is supposed to be connected. Which of these two should come first? The "I" who speaks in this book is by no means the author. Rather, the author wishes that the reader may come to see himself in this "I": that the reader may not simply relate to what is said here as he would to history, but rather that while reading he will actually converse with himself, deliberate back and forth, deduce conclusions, make decisions like his representative in the book, and through his own work and reflection, purely out of his own resources, develop and build within himself the philosophical disposition that is presented to him in this book merely as a picture. Wenn ich nur dasjenige weiß, und von ihm überzeugt bin, was ich selbst gefunden, – nur dasjenige wirklich kenne, was ich selbst erfahren habe, so kann ich in der That nicht sagen, daß ich über meine Bestimmung das Geringste wisse; ich weiß blos, was Andre darüber zu wissen behaupten. If I only know what I am convinced of and have found out myself, if I really only know what I have experienced myself, then indeed I cannot say that I have the least knowledge about my vocation; I only know what others claim to know about it. Mit derselben Sicherheit, mit welcher ich darauf rechne, daß dieser Boden mich tragen wird, wenn ich darauf trete, daß dieses Feuer mich verbrennen würde, wenn ich mich ihm näherte, will ich darauf rechnen können, was ich selbst bin, und was ich sein werde. With the same assurance with which I count on the floor to support me when I step on it, and on the fire to burn me were I to approach it, I want to be able to count on what I myself am and what I will be. It is so by nature that the plant will develop with regularity, that the animal will move purposefully, and that human beings will think. Why should I take exception to recognizing also the last as the expression of an original force of nature, as I do the first and the second? The original thinking force of the universe progresses and develops itself in all possible determinations of which it is capable, just as the other original natural forces progress and assume all possible configurations. I am a particular determination of the formative force, like the plant; a particular determination of the peculiar motive force, like the animal; and in addition to this a determination of the thinking force: and the union of these three basic forces into one force, into one harmonious development, is the distinguishing characteristic of my species. My immediate consciousness, my absolute perception, cannot go beyond myself, — I have immediate knowledge only of myself, whatever I know further I know only by reasoning, in the same manner in which I have come to those conclusions concerning the original powers of Nature, which certainly do not lie within the circle of my perceptions. I, however, — that which I call myself, — am not the man-forming power of Nature, but only one of its manifestations ; and only of this manifestation am I conscious, not of that power, whose existence I have only discovered from the necessity of explaining my own. That I should by necessity be either wise and good, or foolish or vicious, without having in one case or the other merit or fault — this it was that filled me with aversion and horror.The determination of my actions by a cause out of myself, whose manifestations were again determined by other causes — this it was from which I so violently revolted.The freedom which was not mine, but that of a foreign power, and, in that, only a conditional, half freedom — this it was with which I could not rest satisfied. I myself — that which in this system only appears as the manifestation of a higher existence, I will be independent, — will be something, not by another or through another, but of myself. Am I a free agent, or am I merely the manifestation of a foreign power? Neither appear sufficiently well founded.By the most courageous resolve of my life am I reduced to this! what Power can save me from it, from myself? An act of the mind of which we are conscious, as such, is called freedom. An act without consciousness of action is called spontaneity. I by no means assume as necessary any immediate consciousness of the act, but merely, that on subsequent reflection thou shouldst perceive it to be an act. The higher question of what it is that prevents any such state of indecision, or any consciousness of the act, we may perhaps subsequently be able to solve. This act of the mind is called thought and it is said that thought is a spontaneous act, to distinguish it from sensation, in which the mind is merely receptive and passive. I: My consciousness of the object is only a yet unrecognised consciousness of my production of the representation of an object. Of this production I know no more than that it is I who produce, and thus is all consciousness no more than a consciousness of myself, and so far perfectly comprehensible. Am I in the right? Spirit. Perfectly so ; but whence then is derived the necessity and universality thou hast ascribed to these propositions, to that of causality for instance? Of what I am, I know no more than that I am, but here no tie is necessary between subject and object. My own being is this tie, I am at once the subject knowing, and the object known of; and this reflection or return of the knowledge on itself is what I designate by the term I, if I have any determinate meaning. Spirit: Do not be deceived by sophists and half philosophers; things do not appear to thee by means of any representatives. Of the thing that exists, and that can exist, thou art conscious immediately ; thou, thyself, art that of which thou art conscious. By a fundamental law of thy being thou art thus presented to thyself, and thrown out of thyself. There is nothing enduring, permanent, either in me or out of me, nothing but everlasting change. I know of no existence, not even of my own. I know nothing and am nothing. Images — pictures — only are, pictures which wander by without anything existing past which they wander, without any corresponding reality which they might represent, without significance and without aim. I myself am one of these images, or rather a confused image of these images. All reality is transformed into a strange dream, without a world of which the dream might be, or a mind that might dream it. Contemplation is a dream; thought, the source of all existence and of all that I fancied reality, of my own existence, my own capacities, is a dream of that dream. Who am I? Subject and object in one — contemplating and contemplated, thinking and thought of. As both must I have become what I am. The voice in my soul in which I will have faith, and for the sake of which I have faith in all else, does not merely command me generally to act, but in every particular situation it declares what I shall do and what leave undone; it accompanies me through every event of my life, and it is impossible for me to contend against it. To listen to it and obey it honestly and impartially, without fear or equivocation, is the business of my existence. My life is no longer an empty I play without truth or significance. It is appointed that what I conscience ordains me shall be done, and for this purpose am I here. I have understanding to know, and power to execute it. By conscience alone comes truth and reality into my representations. It is the destiny of our race to become united into one great body, thoroughly connected in all its parts, and possessed of similar culture. Nature, and even the passions and vices of Man, have from the beginning tended towards this end. A great part of the way towards it is already passed, and we may surely calculate that it will in time be reached. Reason does not exist for the sake of life, but life for the sake of reason. An existence which does not of itself satisfy reason and solve all her doubts, cannot be the true one. The will is the living principle of the rational soul, is indeed itself reason, when purely and simply apprehended. That reason is itself active, means, that the pure will, as such, rules and is effectual. The infinite reason alone lies immediately and entirely in the purely spiritual order. The finite being lives necessarily at the same time in a sensuous order; that is to say, in one which presents to him other objects than those of pure reason; a material object, to be advanced by instruments and powers, standing indeed under the immediate command of the will, but whose efficacy is conditional also on its own natural laws. I believe it to be this; that my will, absolutely of itself, and without the intervention of any instrument that might weaken its effect, shall act in a sphere perfectly congenial — reason upon reason, spirit upon spirit; in a sphere to which it does not give the laws of life, of activity, of progress, but which has them in itself, therefore, upon self-active reason. But spontaneous, self-active reason is will. The law of the transcendental world must, therefore, be a Will. I veil my face before thee, and lay my finger on my lips. What thou art in thyself, or how thou appearest to thyself, I can never know. After living through a thousand lives, I shall comprehend Thee as little as I do now in this mansion of clay. What I can comprehend, becomes finite by my mere comprehension, and this can never, by perpetual ascent, be transformed into the infinite, for it does not differ from it in degree merely, but in kind. By that ascent we may find a greater and greater man, but never a God, who is capable of no measurement. Blessed be the hour in which I was first led to inquire into my own spiritual nature and destination! All my doubts are removed; I know what I can know, and have no fears for what I cannot know. I am satisfied; perfect clearness and harmony reign in my soul, and a new and more glorious existence begins for me. My entire destiny I cannot comprehend; what I am to become, exceeds my present power of conception. A part, which is concealed from me, is visible to the father of spirits. I know only that it is secure, everlasting and glorious. That part of it which is confided to me I know, for it is the root of all my other knowledge. Should it seem to me that truth has been put to silence, and virtue trampled under foot, and that folly and vice will certainly triumph; should it happen, when all hearts were filled with hope for the human race, that the horizon should suddenly darken around them as it had never done before; should the work, well and happily begun, on which all eyes were fixed with joyous expectation, suddenly and unexpectedly be turned into a deed of shame, — yet will I not be dismayed; nor if the good cause should appear to grow and flourish, the lights of freedom and civilization be diffused, and peace and good-will amongst men be extended, shall yet my efforts be relaxed. All life, Omnipotent Father, is thy life! 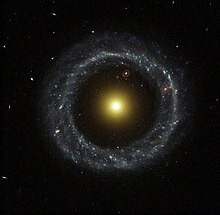 and the eye of religion alone penetrates to the realms of truth and beauty. I am related to thee, and what I behold around me is related to me; all is full of animation, and looks towards me with bright spiritual eyes, and speaks with spirit voices to my heart. The determination to print them (his lectures), and to communicate them to the General Public, must also speak for itself; and should it not do so, any other recommendation of them would be thrown away. Thus, with respect to the appearance of this work, I have nothing further to say to the Public, than that I have nothing to say. The End of the Life of Mankind on Earth is this,—that in this Life they may order all their relations with FREEDOM according to REASON. Instinct is blind;—a consciousness without insight. Freedom, as the opposite of Instinct, is thus seeing, and clearly conscious of the grounds of its activity. Among other men Reason awakes in another form—as the impulse towards Personal Freedom, which, although it never opposes the mild rule of the inward Instinct which it loves, yet rises in rebellion against the pressure of a stranger Instinct which has usurped its rights; and in this awakening it breaks the chains,—not of Reason as Instinct itself, but of the Instinct of foreign natures clothed in the garb of external power. Science raises itself above all Ages and all Times, embracing and apprehending the ONE UNCHANGING TIME as the higher source of all Ages and Epochs, and grasping that vast idea in its free, unbounded comprehension. An infirmity which affects the whole race, is no proper object for the scorn of an individual who belongs to that race, and who, before he could expose it, must himself have been its slave. Every other art,—as poetry, music, painting,—may be practised without the process showing forth the rules according to which it is conducted ;—but in the self-cognizant art of the philosopher, no step can be taken without declaring the grounds upon which it proceeds. The Present Age, according to my view of it, stands in that Epoch which in my former lecture I named the THIRD, and which I characterized as the Epoch of Liberation—directly from the external ruling Authority, indirectly from the power of Reason as Instinct, and generally from Reason in any form; the Age of absolute indifference towards all truth, and of entire and unrestrained licentiousness:–the state of completed sinfulness. The fundamental maxim of those who stand at the head of this Age, and therefore the principle of the Age, is this,—to accept nothing as really existing or obligatory, but that which they can understand and clearly comprehend. With regard to this fundamental principle, as we have now declared and adopted it without farther definition or limitation, this third Age is precisely similar to that which is to follow it, the fourth, or age of Reason as Science,—and by virtue of this similarity prepares the way for it. Before the tribunal of Science, too, nothing is accepted but the Conceivable. Only in the application of the principle there is this difference between the two Ages,—that the third, which we shall shortly name that of Empty Freedom, makes its fixed and previously acquired conceptions the measure of existence; while the fourth—that of Science—on the contrary, makes existence the measure, not of its acquired, but of its desiderated beliefs. Each individual imagines that he can exist, live, think, and act for himself, and believes that he himself is the thinking principle of his thoughts; whereas in truth he is but a single ray of the ONE universal and necessary Thought. Time is taking giant strides with us more than with any other age since the history of the world began. At some point within the three years that have gone by since my interpretation of the present age that epoch has come to an end. At some point self-seeking has destroyed itself, because by its own complete development it has lost its self and the independence of that self; and since it would not voluntarily set itself any other aim but self, an external power has forced upon it another and a foreign purpose. No nation which has sunk into this state of dependence can raise itself out of it by the means which have usually been adopted hitherto. Since resistance was useless to it when it was still in possession of all its powers, what can such resistance avail now that it has been deprived of the greater part of them? By means of the new education we want to mould the Germans into a corporate body, which shall be stimulated and animated in all its individual members by the same interest. He who must still exhort himself, and be exhorted, to will the good, has as yet no firm and ever-ready will, but wills a will anew every time he needs it. But he who has such a stable will, wills what he wills for ever, and cannot under any circumstances will otherwise than he always wills. For him freedom of the will is destroyed and swallowed up in necessity. This education, therefore, results at the very outset in knowledge which transcends all experience, which is abstract, absolute, and strictly universal, and which includes within itself beforehand all subsequently possible experience. On the other hand, the old education was concerned, as a rule, only with the actual qualities of things as they are and as they should be believed and rioted, without anyone being able to assign a reason for them. It aimed, therefore, at purely passive reception by means of the power of memory, which was completely at the service of things. It was, therefore, impossible to have any idea of the mind as an independent original principle of things themselves. This method of mental training is, therefore, the immediate preparation for the moral; it completely destroys the root of immorality by never allowing sensuous enjoyment to become the motive. Formerly, that was the first motive to be stimulated and developed, because it was believed that otherwise the pupil could not be influenced or controlled at all. Education to true religion is the final task of the new education. The divine life that underlies all appearance reveals itself never as a fixed and known entity, but as something that is to be; and after it has become what it was to be, it will reveal itself again to all eternity as something that is to be. Idea or Vision, in its sensuous meaning, would be something that could be perceived only by the bodily eye and not by any other sense such as taste, hearing, etc. ; it would be such a thing as a rainbow, or the forms which pass before us in dreams. Idea or Vision, in its supersensuous meaning, would denote, first of all, in conformity with the sphere in which the word is to be valid, something that cannot be perceived by the body at all, but only by the mind; and then, something that cannot, as many other things can, be perceived by the dim feeling of the mind, but only by the eye of the mind, by clear perception. I take as my example the three notorious words, Humanity, Popularity, and Liberality. When these words are used in speaking to a German who has learnt no language but his own they are to him nothing but a meaningless noise, which has no relationship of sound to remind him of anything he knows already and so takes him completely out of his circle of observation and beyond any observation possible to him. ... Further, if in speaking to the German, instead of the words Popularity [Popularitdt] and Liberality [Liberalitat], I should use the expressions, " striving for favour with the great mob," and " not having the mind of a slave," which is how they must be literally translated, he would, to begin with, not even obtain a clear and vivid sense-image such as was certainly obtained by a Roman of old. What is the use of all knowledge, if one does not act in accordance with it? This remark implies that knowledge is regarded as a means to action, and the latter as the real end. One could put the question the other way round and ask: How can we possibly act well without knowing what the Good is? This way of expressing it would regard knowledge as conditioning action. But both expressions are one-sided, and the truth is that both, knowledge as well as action, are in the same way inseparable elements of rational life. The Teutons believed that the only possible way to get rid of barbarism was to become Romans. The immigrants to what was formerly Roman soil became as Roman as they possibly could. But in their imagination the term "barbarous" soon acquired the secondary meaning of " common, plebeian, and loutish," and in this way "Roman," on the contrary, became synonymous with " distinguished." A living language can stand on a higher level of culture in comparison with another, but it can never in itself attain that perfection of development which a dead language quite easily attains. In the latter the connotation of words is fixed, and the possibilities of suitable combinations will also gradually become exhausted. Hence, he who wishes to speak this language must speak it just as it is; but, after he has once learnt to do this, the language speaks itself in his mouth and thinks and imagines for him. The Power liberates itself from Instinct, to direct itself towards Unity. Every Individual can and must, under the given condition, construct the True World of Sense, — for this indeed has beyond the universal and formal laws above deduced, no other Truth and Reality than this universal harmony. A Will, clear and intelligible to itself and reposing upon itself without wavering or perplexity, is possible, — to return wholly into Actual Life; — not into the Life of blind and irrational Instinct which we have laid bare in all its nothingness, but into the Divine Life which shall become visible to us. Since it cannot be overlooked by the Doctrine of Knowledge that Actual Knowledge does by no means present itself as a Unity, such as is assumed above but as a multiplicity, there is consequently a second task imposed upon it, — that of setting forth the ground of this apparent Multiplicity. It is of course understood that this ground is not to be derived from any outward source, but must be shown to be contained in the essential Nature of Knowledge itself as such; — and that therefore this problem, although apparently two-fold, is yet but one and the same, — namely, to set forth the essential Nature of Knowledge. This Being out of God cannot, by any means, be a limited, completed, and inert Being, since God himself is not such a dead Being, but, on the contrary, is Life; — but it can only be a Power, since only a Power is the true formal picture or Schema of Life. And indeed it can only be the Power of realising that which is contained in itself — a Schema. There is but One Principle that proceeds from God; and thus, in consequence of the unity of the Power, it is possible for each Individual to schematise his World of Sense in accordance with the law of that original harmony; — and every Individual, under the condition of being found on the way towards the recognition of the Imperative, must so schematise it. I might say: — Every Individual can and must, under the given condition, construct the True World of Sense, — for this indeed has beyond the universal and formal laws above deduced, no other Truth and Reality than this universal harmony. I know now that I shall. But all Actual Knowledge brings with it, by its formal nature, its schematised apposition; — although I now know of the Schema of God, yet I am not yet immediately this Schema, but I am only a Schema of the Schema. The required Being is not yet realised. I shall be. Who is this I? Evidently that which is, — the Ego gives in Intuition, the Individual. This shall be. What does its Being signify? It is given as a Principle in the World of Sense. Blind Instinct is indeed annihilated, and in its place there now stands the clearly perceived Shall. But the Power that at first set this Instinct in motion remains, in order that the Shall my now set it (the Power) in motion, and become its higher determining Principle. By means of this Power, I shall therefore, within its sphere, — the World of Sense, — produce and make manifest that which I recognise as my true Being in the Supersensuous World. The Power is given as an Infinite; — hence that which in the World of Thought is absolutely One — that which I shall — becomes in the World of Intuition an infinite problem for my Power, which I have to solve in all Eternity. This Infinitude, which is properly a mere indefiniteness, can have place only in Intuition, but by means in my true Essential Being, which, as the Schema of God, is as simple and unchangeable as himself. How then can this simplicity and unchangeableness be produced within the yet continuing Infinitude, which is expressly consecrated by the absolute Shall addressed to me as an Individual? If, in the onflow of Time, the Ego, in every successive moment, had to determine itself by a particular act, through the conception of what it shall, — then in its original Unity, it was assuredly indeterminate, and only continuously determinable in an Infinite Time. But such an act of determination could only become possible in Time, in opposition to some resisting power. This resisting power, which was thus to be conquered by the act of determination, could be nothing else than the Sensuous Instinct; and hence the necessity of such a continuous self-determination in Time would be the sure proof that the Instinct was not yet thoroughly abolished; which abolition we have made a condition of entering upon the Life in God. Thus then does the Doctrine of Knowledge, which in its substance is the realisation of the absolute Power of intelligising which has now been defined, end with the recognition of itself as a mere Schema in a Doctrine of Wisdom, although indeed a necessary and indispensable means to such a Doctrine: — a Schema, the sole aim of which is, with the knowledge thus acquired, — by which knowledge alone a Will, clear and intelligible to itself and reposing upon itself without wavering or perplexity, is possible, — to return wholly into Actual Life; — not into the Life of blind and irrational Instinct which we have laid bare in all its nothingness, but into the Divine Life which shall become visible to us. Edwin Arthur Burtt, The Metaphysical Foundations of Modern Physical Science (1925). We cannot hope to give here a final clarification of the essence of fact, judgement, object, property; this task leads into metaphysical abysses; about these one has to seek advice from men whose name cannot be stated without earning a compassionate smile—e.g. Fichte. Hermann Weyl, Das Kontinuum. Kritische Untersuchungen uber die Grundlagen der Analysis (1918), as quoted/translated by Erhard Scholz, Philosophy as a Cultural Resource and Medium of Reflection for Hermann Weyl (2004). Fichte, by his stubbornness in pursuing an idea, blind to nature and facts, was swept away into increasingly abstruse abstractions. Hermann Weyl, "Erkenntnis und Besinnung (Ein Lebensrückblick)" Studia Philosphica (1954) GA IV, as quoted/translated by Erhard Scholz, "Philosophy as a Cultural Resource and Medium of Reflection for Hermann Weyl" (2004). [Fichte is a] constructivist of purest water, who pursues his independent path of construction without looking right or left. Hermann Weyl, "Erkenntnis und Besinnung (Ein Lebensrückblick)" Studia Philosphica (1954) GA IV, as quoted/translated by Erhard Scholz, Philosophy as a Cultural Resource and Medium of Reflection for Hermann Weyl (2004). "Fichte laid it down that education should aim at destroying free will, so that, after pupils have left school, they shall be incapable, throughout the rest of their lives, of thinking or acting otherwise than as their schoolmasters would have wished" in The Impact of Science on Society (1952), SCIENTIFIC TECHNIQUE IN OLIGARCHY. NEW YORK, AMS PRESS, 1968, p. 50.